The CA Math & Science Challenge! is a nonprofit dedicated to providing curriculum, teacher training, & ongoing professional development for K-8 Schools in underserved communities who wish to create Early Learning Advantage™ robotics-based sTEm programs. Let’s Get Our Kids in the Game! * The CA Math & Science Challenge provides curriculum, teacher training, & ongoing professional development for K-8 Schools in underserved communities who wish to create Early Learning Advantage(tm) robotics-based sTEm programs. * Visit: http://mathsciencechampionship.org to learn more. CA MATH & SCIENCE CHALLENGE INC accepts donations. Donate Now. 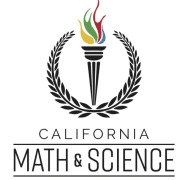 Would you recommend CA MATH & SCIENCE CHALLENGE INC?